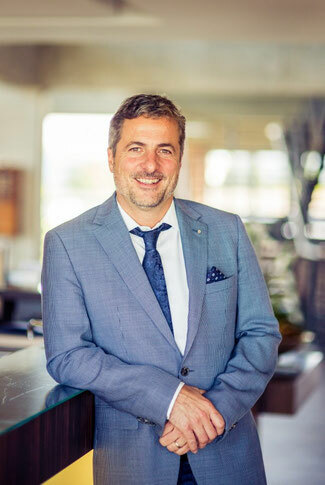 On January 1, 2019 Mark Hellmann took on the role of CEO of the widespread global partner network of Hellmann Worldwide Logistics. He succeeds long-time network chief Michael Claus who will retire at the end of this year. The Osnabrueck and Hamburg, Germany-based company further announces that Gerald Mayrhofer has been appointed new Global Head of Ocean Freight. From now on, hockey aficionado Michael Claus will have many opportunities to attend games of his favored club Canadiens de Montréal at the Bell Centre sports complex in downtown Montreal, owned by the Molson family, a renowned Canadian beer brewer dynasty. This because he presumably enjoys a lot of spare time after becoming a pensioner, looking back on a long and successful Hellmann career. There he was responsible – inter alia – for running the logistics provider’s global partner network from his office near Miami International Airport. During his tenure which lasted for three decades, the association grew continuously, growing meanwhile to 106 members or affiliates and 440-plus stations spread all over the world. Mark Hellmann (pictured here) succeeded Michael Claus as CEO of the global partner network of Hellmann Worldwide Logistics. Meanwhile, Michael Claus’ role has been taken over by Hong Kong-based Mark Hellmann. 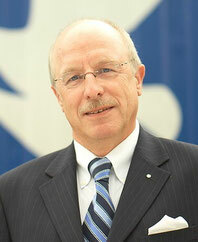 Right after joining the group in 1980, he became one of the co-founders of the global Hellmann network. Ever since, the manager has established long-standing personal relationships with most partnering firms across all five continents. According to a company release, Mark Hellmann will retain his function as President & CEO East Asia. Simultaneously, however, he will build on Michael Claus' long-term strategies aimed at further developing the strength of the network alongside the basis of Hellmann owned entities around the world. With Mark Hellmann’s expanded duties, a member of the fourth Hellmann generation takes on large managerial responsibilities and assumes a controlling position. “In addition to the successful establishment and expansion of Hellmann in Asia, Mark has also strongly shaped the partner network through his personal commitment," lauded Reiner Heiken, Chief Executive Officer, Hellmann Worldwide Logistics on the occasion of publishing the executive’s enlarged network duties. "We would like to take this opportunity to thank Michael Claus for his extraordinary commitment over the past years. Since 1989 he has made a significant contribution to making the company internationally successful by building up the partner network," emphasized Mr Heiken. Simultaneously Hellmann reported that Austrian national Gerald Mayrhofer has been appointed new Global Head of Ocean Freight as of 15 January. In his new function, the 42-year-old will report to Bart de Vries, COO Air and Sea. Gerald Mayrhofer worked for Schenker in various management positions for a decade from where he moved to Red Bull becoming their Head of International Logistics. 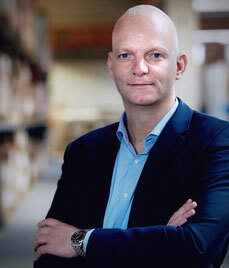 In 2012 he took on the role as Managing Director of Hamburg-based logistics company Senator International, where he was responsible for a wide range of businesses, including global sea freight, contract logistics, marketing activities, quality control, and personnel development.